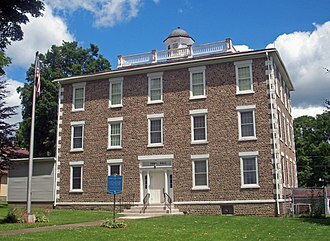 This is intended to be a complete list of properties and districts listed on the National Register of Historic Places in Wyoming County, New York. The locations of National Register properties and districts (at least for all showing latitude and longitude coordinates below) may be seen in a map by clicking on "Map of all coordinates". This National Park Service list is complete through NPS recent listings posted March 29, 2019. (#13000225) 2-28 & 19-45 Market St., 2-10 & 21-39 Main St.
(#73001293) 22 S. Academy St.
(#12000212) N. & S. Main, Covington, & Lake Sts., Borden Ave.
(#85002442) Roughly bounded by Wesley, Embury, Thompson, Haven, Lakeside & Lakeview Aves. (#88002441) 35 S. Main St.
(#80002799) 73 S. Main St.
(#12000963) N. & S. Main between Frank & Brooklyn Sts. Wikimedia Commons has media related to National Register of Historic Places in Wyoming County, New York. ^ "National Register of Historic Places: Weekly List Actions". National Park Service, United States Department of the Interior. Retrieved on March 29, 2019. The National Register of Historic Places is the United States federal governments official list of districts, buildings and objects deemed worthy of preservation. The passage of the National Historic Preservation Act in 1966 established the National Register, of the more than one million properties on the National Register,80,000 are listed individually. The remainder are contributing resources within historic districts, each year approximately 30,000 properties are added to the National Register as part of districts or by individual listings. 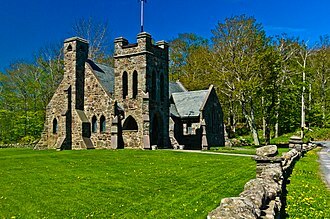 For most of its history the National Register has been administered by the National Park Service and its goals are to help property owners and interest groups, such as the National Trust for Historic Preservation, coordinate and protect historic sites in the United States. While National Register listings are mostly symbolic, their recognition of significance provides some financial incentive to owners of listed properties, protection of the property is not guaranteed. 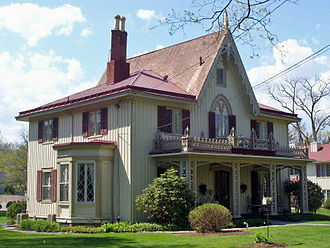 During the nomination process, the property is evaluated in terms of the four criteria for inclusion on the National Register of Historic Places, the application of those criteria has been the subject of criticism by academics of history and preservation, as well as the public and politicians. 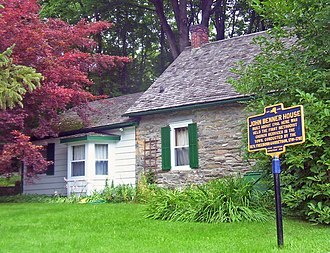 Occasionally, historic sites outside the proper, but associated with the United States are listed. Properties can be nominated in a variety of forms, including individual properties, historic districts, the Register categorizes general listings into one of five types of properties, site, building, or object. National Register Historic Districts are defined geographical areas consisting of contributing and non-contributing properties, some properties are added automatically to the National Register when they become administered by the National Park Service. These include National Historic Landmarks, National Historic Sites, National Historical Parks, National Military Parks/Battlefields, National Memorials, on October 15,1966, the Historic Preservation Act created the National Register of Historic Places and the corresponding State Historic Preservation Offices. Initially, the National Register consisted of the National Historic Landmarks designated before the Registers creation, approval of the act, which was amended in 1980 and 1992, represented the first time the United States had a broad-based historic preservation policy. 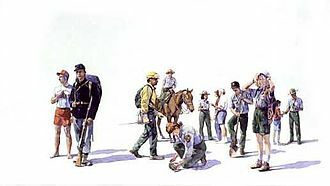 To administer the newly created National Register of Historic Places, the National Park Service of the U. S. Department of the Interior, hartzog, Jr. established an administrative division named the Office of Archeology and Historic Preservation. Hartzog charged OAHP with creating the National Register program mandated by the 1966 law, ernest Connally was the Offices first director. Within OAHP new divisions were created to deal with the National Register, the first official Keeper of the Register was William J. Murtagh, an architectural historian. During the Registers earliest years in the late 1960s and early 1970s, organization was lax and SHPOs were small and underfunded. 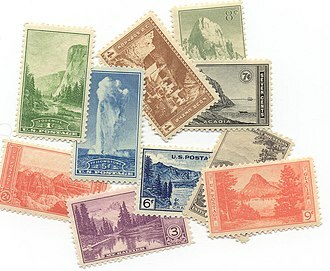 A few years in 1979, the NPS history programs affiliated with both the U. S.